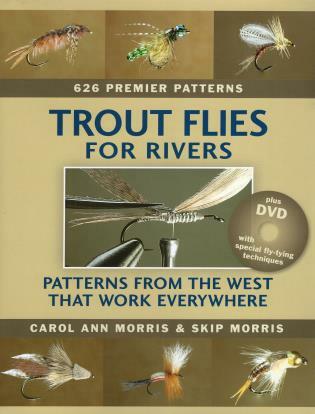 Every fly tier will strike gold in this book of fly patterns, filled with both hot new flies and proven, reliable standards plus tips on how, where, and when to fish these patterns. Carol Ann Morris and Skip Morris fish and write from their home in Washington State. Carol Ann Morris is a professional photographer and illustrator whose photographs have been published in most of the major fly-fishing magazines, including Gray's Sporting Journal, Fly Fisherman, American Angler, and Fly Fishing & Tying Journal. Skip Morris (www.skip-morris-fly-tying.com) is the author of seventeen fly-fishing books--including Seasons for Trout, Tactics for Trout, and Trout Flies for Rivers--and hundreds of magazine articles. He fishes and writes from his home in Washington State.